Product diversity hasn't always been the strongest suit of Apple's iPad lineup, but right now, there are plenty of options available directly from the Cupertino-based tech giant, as well as reputable third-party retailers, for different needs and budgets. 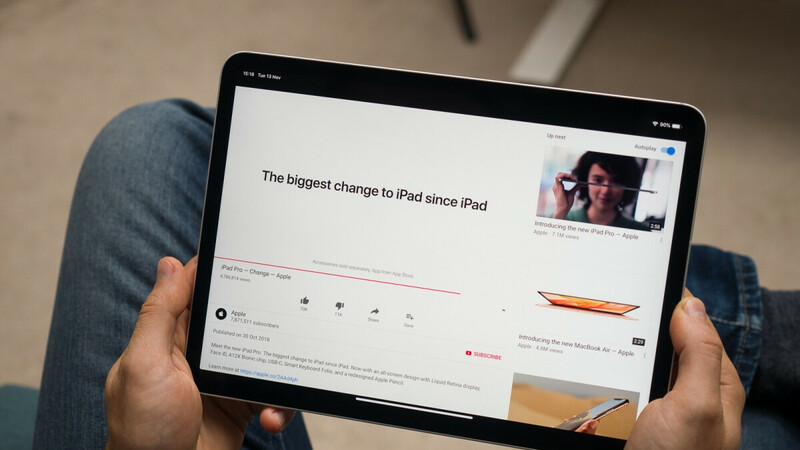 While it might seem complicated to choose between a technically discontinued 10.5-inch iPad Pro from 2017 and a revived 2019 iPad Air with an identical screen, it's pretty clear why 2018's 11 and 12.9-inch iPad Pros are better than both those variants. Obviously, that also means you have to spend quite a bit of extra dough to buy a hot new iPad Pro with razor-thin bezels and Face ID recognition, although Best Buy is offering some sweet discounts yet again. Instead of setting you back at least $799.99, the iPad Pro 11 starts at only $674.99 at the time of this writing, packing a blazing fast Apple A12X Bionic processor and 64 gigs of internal storage space. The same $125 markdown applies to the cellular-enabled 64GB model of the sleek 11-incher, which costs $824.99 instead of fetching its full list price of $949.99. You can actually save even more if you opt for 256GB configurations with or without LTE support, the former of which is now available for $950, while the latter costs $800, both scoring a flat $150 price cut. Naturally, 512 gig versions are more expensive, which allows Best Buy to offer an even heftier $200 discount bringing the price down to $950 and $1,100 in Wi-Fi-only and LTE-enabled SKUs. Meanwhile, the iPad Pro 12.9 (2018) starts at $850 instead of a $1,000 list price, going all the way up to $1,300 in a cellular-capable 512GB variant after a maximum discount of 200 bucks. It's important to point out a number of these deals are merely repeats of special offers inaugurated last month, but others are actually better than what we've seen before, taking your savings to the next level and helping Apple fend off the Microsoft threat in the productivity-focused tablet segment. Well, people who doesn't care about using not-brand new devices might find this great. I personally have used IPad Pro 11 few while ago, and think it was a good buy. I personally rate them 8.5 out of 10. Bought an iPad Pro 12.9 64GB WiFi for $769. Still didn’t find value with the tablet. Could have kept my iPad 10.5 Pro.